Who doesn’t enjoy a great day out on the water? The fresh spray. Bright sunshine. The freedom of gliding through the surf. 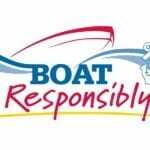 But whether you are a power boater, sail boater, or a kayaker, you should always create a float plan before leaving shore. What is a float plan and why is it important? Basically, a float plan is a document that answers the five W’s: who, what, when, where, and why? A float plan provides vital information, including what time you are due to return. For instance, if your motor stops working, and you are unable to communicate, how will anybody know you are missing or where to look? If something should go wrong, this plan can help authorities narrow the search area, find your boat, and possibly save your life. What kind of boaters prepare float plans? Whether you’re planning a short afternoon trip or a month-long excursion, it is important to share your plan with friends or family members. These people will be responsible for notifying the proper authorities should you not return or check-in as planned. Float plans aren’t complicated. They don’t take hours to create. It is best to electronically file your plan. You can write a plan out on paper but this may cause the skipper to inadvertently forget to provide all vital facts. Having a float plan not only protects you and your crew, it saves family and friends ashore needless worry by providing concrete details of what to do and who to contact if you don’t return home on time.